Things are really wrapping up with Cheetah Hunt. 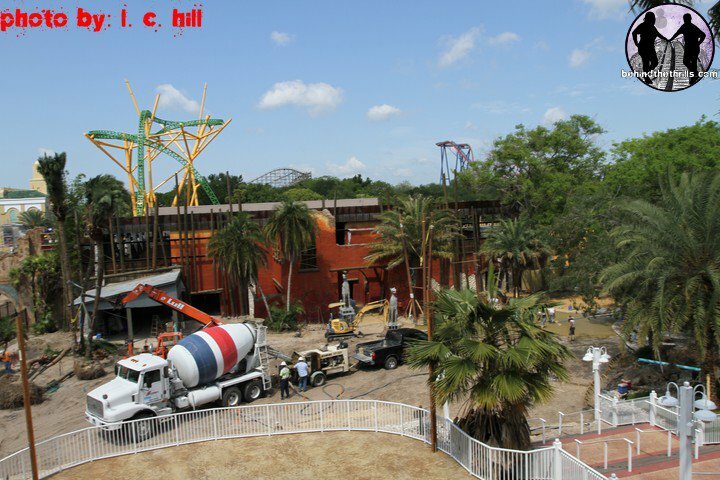 Opening day (May 27th) is just over a month away and Busch Gardens has still got a few things to finish before they can actually open the ride to park guests. Testing is one of those things, but don’t worry, it hasn’t started yet. I’m hearing testing may start later this week. 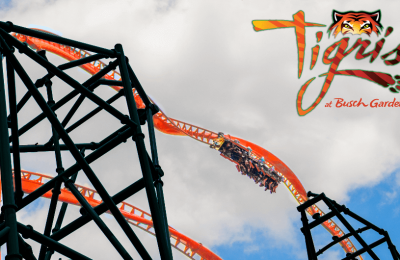 However, knowing Busch Gardens, the first test run will more than likely happen after the park closes and when it’s dark. 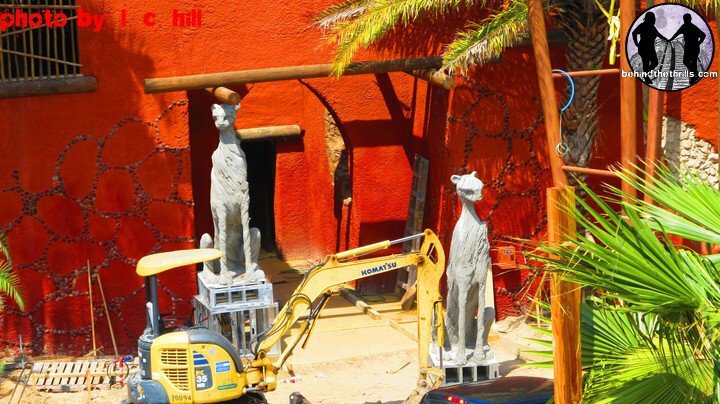 Remember those Cheetah statues that we spotted a few months back? Today they were relocated right next to the station. They look great against the fiery orange building. Trees have been planted right next to the steps leading up to the Crown Colony. In fact, it appears a lot of trees have been planted around the area to give it that lush Florida look. If you also look to the right of both Cheetah Status, there’s a three poles that form a triangle shape. Could this possibly be for the entrance sign? The transfer track has finally aligned with the track circuit. This is a good sign for testing, I think. I had to double check when I saw this picture, but I was pretty positive the Carousel was supposed to open back up in March. 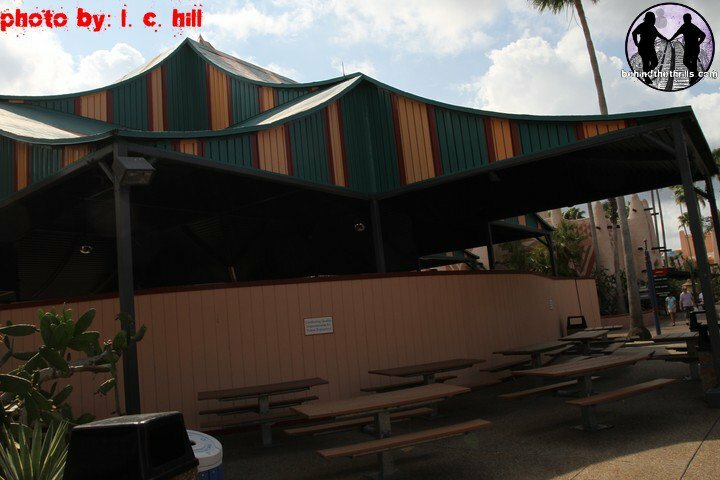 Yeah, I was right, and according to the Busch Gardens website, the Carousel was supposed to open on March 11th. What could possibly be taking so long? Cheetah Chase has had a name change to Sand Serpent, but in our last Sand Serpent update, the signage had been changed over, but the spiel to guests waiting in line had not yet been updated. 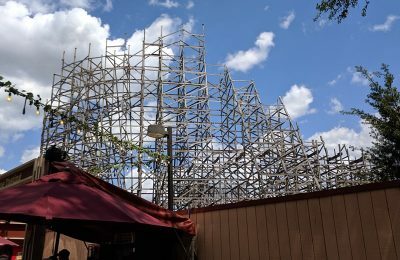 Busch Gardens finally updated the speil. You can listen to the audio below captured in this video. 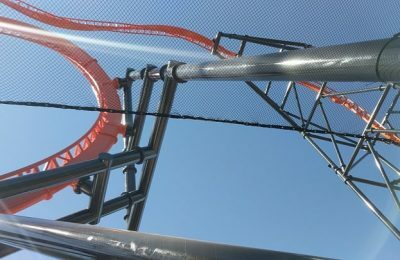 Video curteosy of our good buddy, coasterlover23. 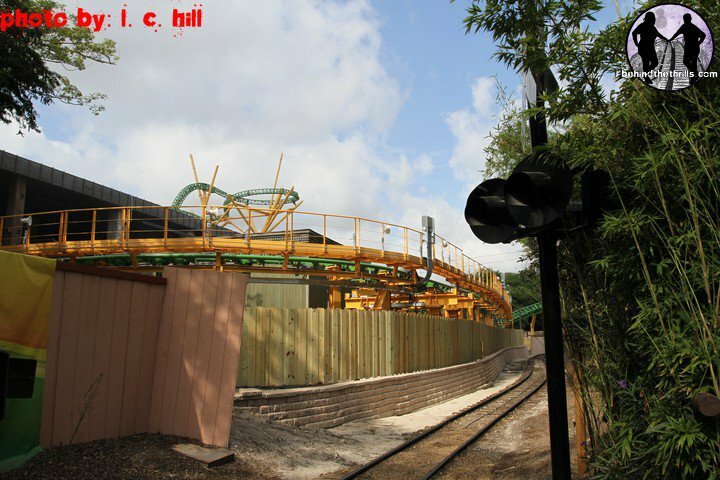 View tons more pictures from today’s Cheetah Hunt update below.